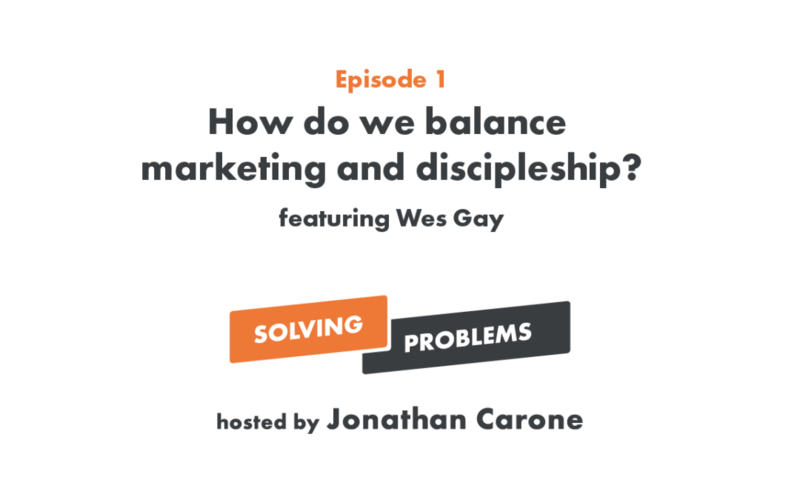 Episode 1 - How do we balance marketing and discipleship? In this episode, we talk about the single biggest problem churches have in their marketing (3:52) and why making people the hero of the story is hard (4:28). We also give you a fun game to play at your next staff meeting (13:55) and discuss how your marketing plan is different than your discipleship plan (16:49). Plus we show you how to use StoryBrand for your preaching (27:16) and give you a quick tip for how to do a push for volunteers (30:00). Featuring Jonathan Carone, Kyler Nixon, and Wes Gay.